The first thing that captures my eye with the ROD Release Me spray is the cage bottle, it's beautiful and sits on a vanity perfectly and the accent handle gives it a bird cage effect, I'm in love with the bottle, it's the simple things right? Of course the smell is what will either make or break it after getting past the packaging. This pink coloured scent has fruity, floral but musky notes. The first spray you can smell the musky note this perfume offers, I'm not keen on musky scents but it starts to fade to allow the top notes come through, I can definitely identify scents, it's like being a perfume connoisseur, spraying on card and trying to identify what comes out the most and of course it helps more when you know them away from the mixture. For my own preference I would wear it during the evening as it's heavier than what I would wear for the daytime. Perfect for the Spring/Summer evenings, oh what Spring at the moment. Are you lining up your S/S scents? 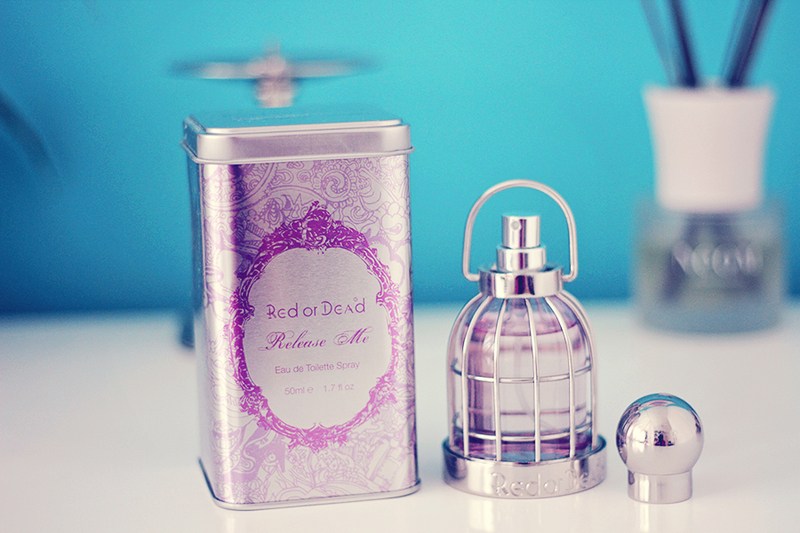 I like the pretty packaging. 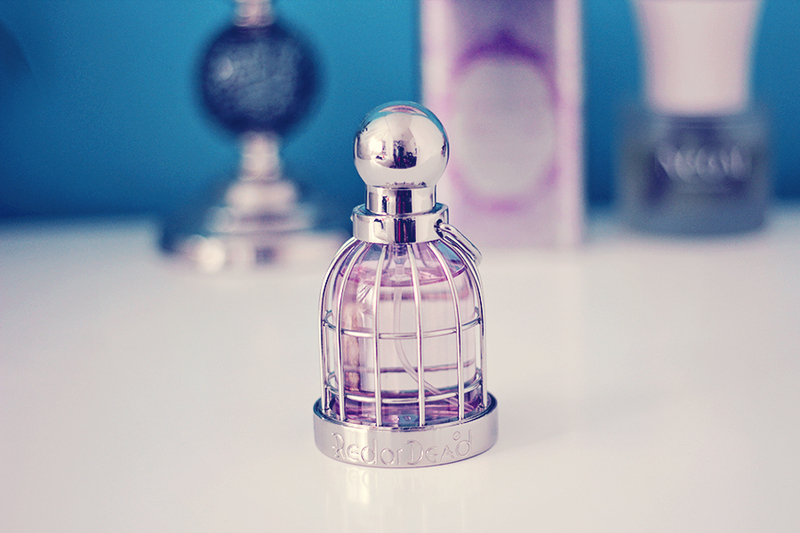 I really need to get a new scent, but for now I'm loving my Viktor & Rolf Flower Bomb, and Hanae Mori butterfly. This is amazing packaging, it looks like a cross between a bird cage and a hand grenade! Love the fact it contains jasmine, my faaaave scent ever!